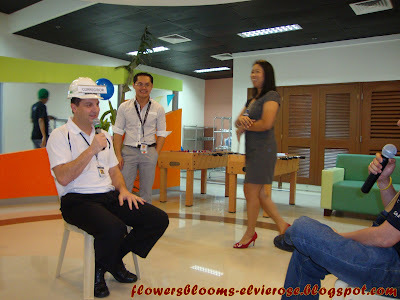 My Boss, Greg with Fab 1 Site Director, Rey Mella during the "Pinoy Henyo" Game. Greg had to guess the mystery word that is placed in front of his hard hat by asking Sir Rey some questions. Rey will only answer Yes or No. Greg is having a hard time guessing the word. The word is "CORREGIDOR", a famous historical place in Luzon during the World War II and where the Eternal Flame monument is located. The lighting of the Eternal Flame is powered by three (3) 200 watts Sunpower solar panels donated by our company during the 60th Anniversary of Corregidor's liberation from Japanese forces in World War II in March 3, 2005. 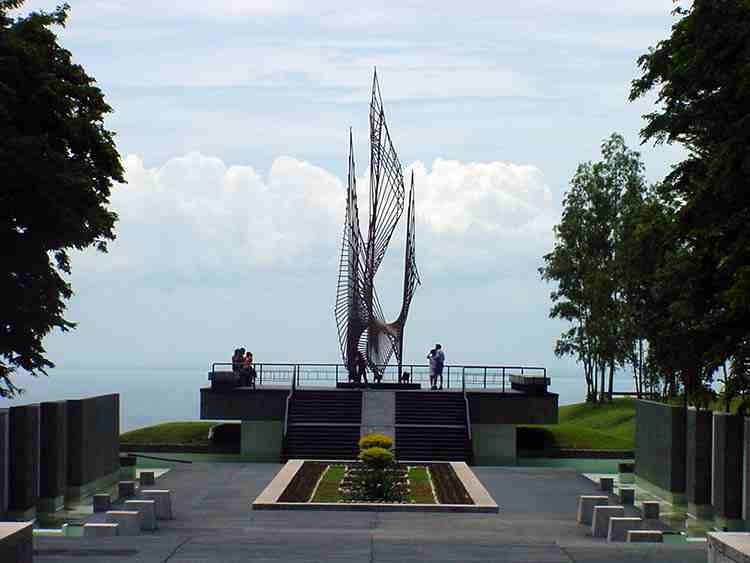 The lighting of the Eternal Flame Monument in Corregidor island is a memorable event for Greg Reichow as the solar arrays at the memorial site marks the beginning of Sunpower's presence in the Philippines. 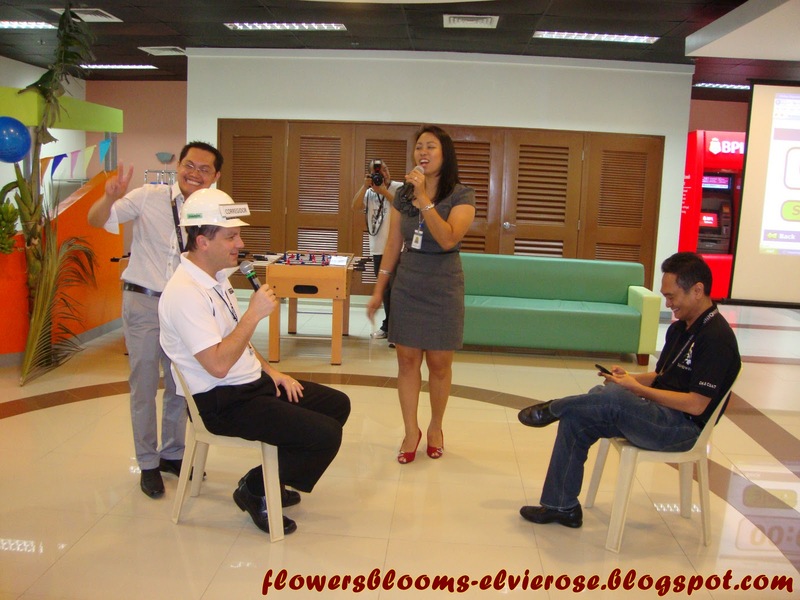 Sunpower was just a young one-year old company at that time. 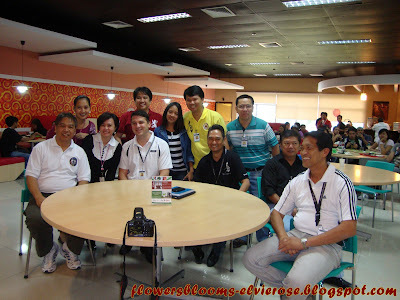 Our company, Sunpower Philippines Mfg. Ltd. is a wholly-owned subsidiary of Sunpower Corporation U.S.A., a NASDAQ listed company which manufactures high efficiency solar cells. 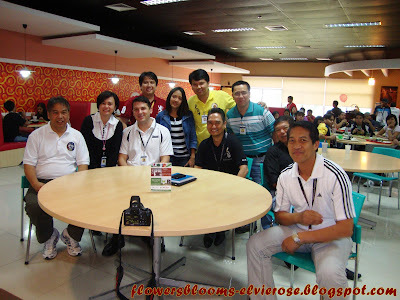 "Pinoy Henyo" is a famous Local game that became widely recognized because of the TV game show segment of "Pinoy Henyo", a general information quiz in Eat-Bulaga GMA7. A mystery word is given to each team. 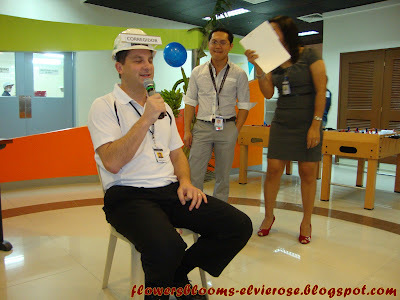 The answer is in a piece of paper posted in the forehead of the player.The player then asks series of questions or clues to his/her members for him to guess what is written in the piece of paper in his/her forehead. The members will answer either yes or no to the questions.If the player guessed the correct answer before the time laps then they won the round.You can actually do a variation of the game as to categories on what the answers will be based. 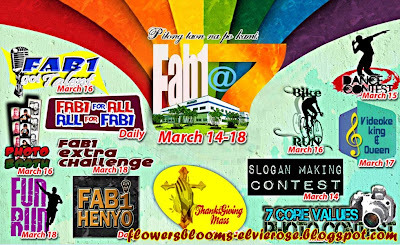 HAPPY 7TH ANNIVERSARY FAB 1 !